Museum is open again: 31.03.2019. The museum provides a second website with information for visitors. Here you can find a detailed presentation of the more experience-oriented activities. "In einem Land vor unserer Zeit"
For many years the painter from Aschau in Chiemgau, Franz Feistl, has been a friend of the Museum..
All rooms in the museum have barrier-free access. 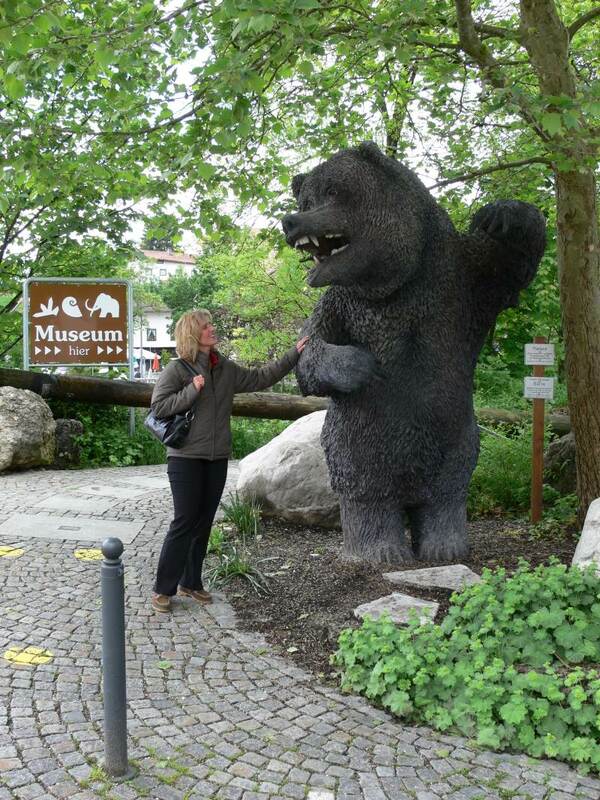 Mammoth footprints lead you from the car park to your destination.Then you have to choose where to go first; "Bärta" the cave bear is standing at the bridge waiting for a photo session. 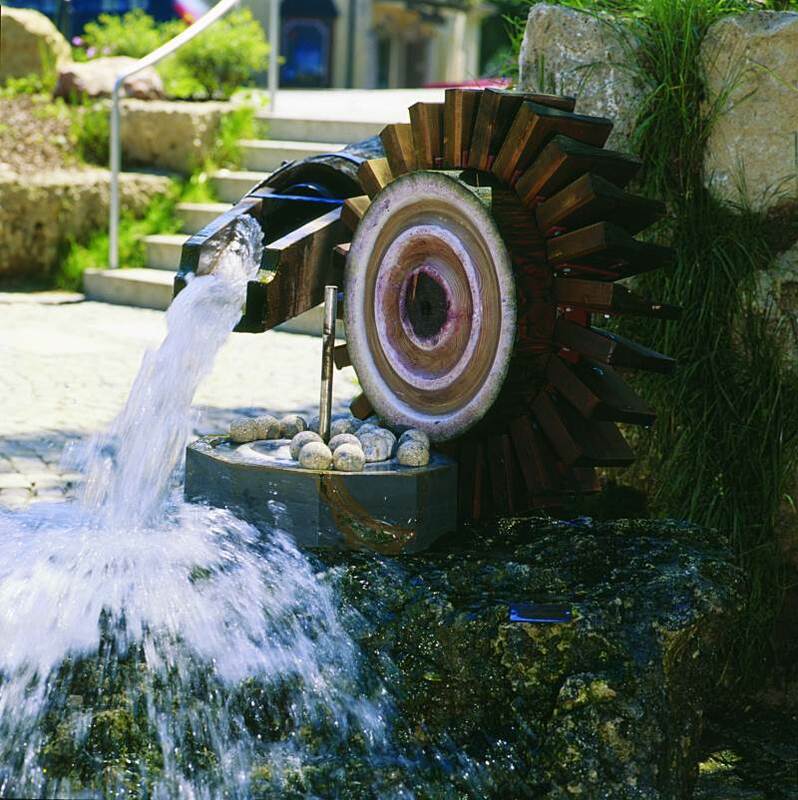 Water gushing from the tentacles of the bronze ammonite powers the pebble mill. In summer this is such delightful water playground, that you could almost fail to notice the 'timeline' that shows the evolution of life on earth, the imitation find sites, the window displays in the SteinZeitWerkstatt (Stone Age Workshop) and many other such places of interest. Please take your time to discover all you can outside, but don't forget to visit the museum as well! 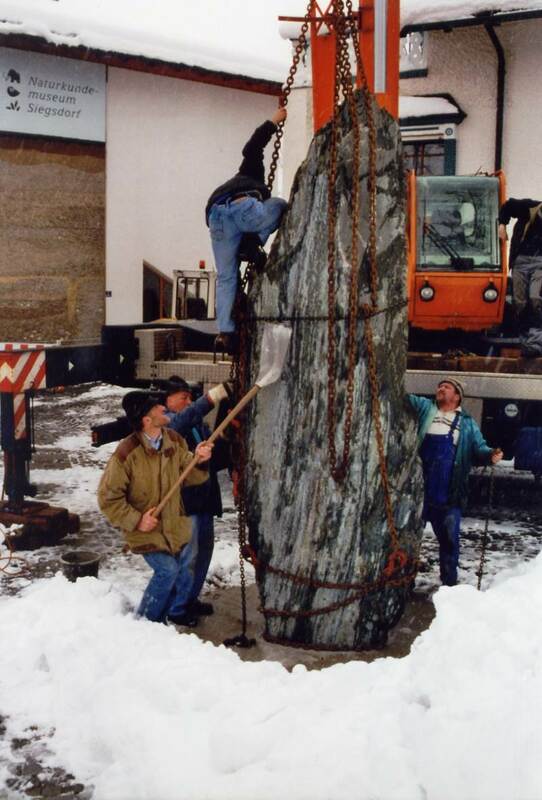 The museum's friends association discovered a large block of serpentine in Siedsdorf's partner town, Pfunders, South Tyrol. It seemed to be a suitable gift for the mueseum's 500,000 th visitor. In the course of continental drift this monolith would have found its way to Siegsdorf without the help of the Friends Association in about 15 million years. One of the last remaining pebble mills is in operation in front of the museum during the summer. Here a pebble mill is still in use. Beautiful and initially jagged stones are smoothed to round pebbles simply by means of water power. But it takes a while! Finally the pebbles are carefully polished by hand. When the stones are ready, those made of coral limestone, for example, are sold in the museum shop. The Christkindl Wahfahrts-Museum ((Christ child Pilgrimage Museum) is located on the top floor of the SteinZeitWerkstatt. Rosi Bauer's exceptional collection of religious folk art is from six European countries and from four centuries. 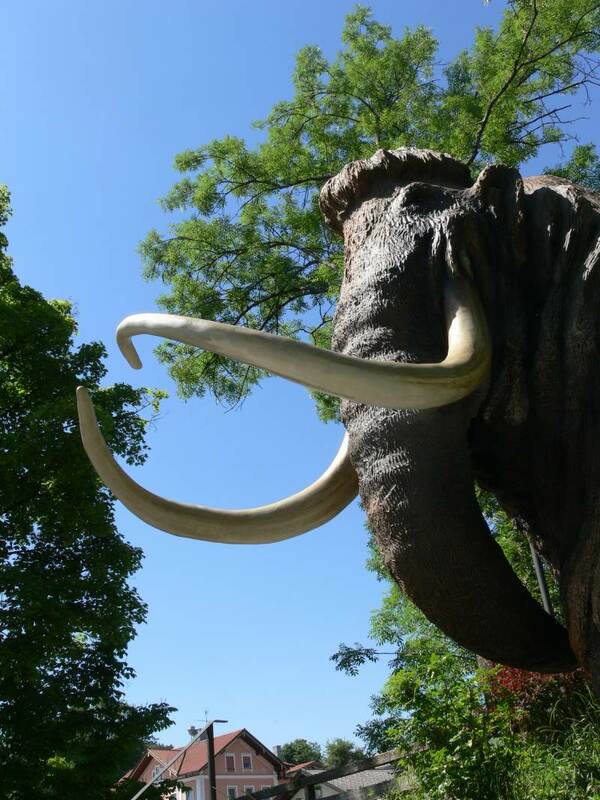 Admission is free for all visitors and the opening hours are the same as those of the Mammoth Museum. 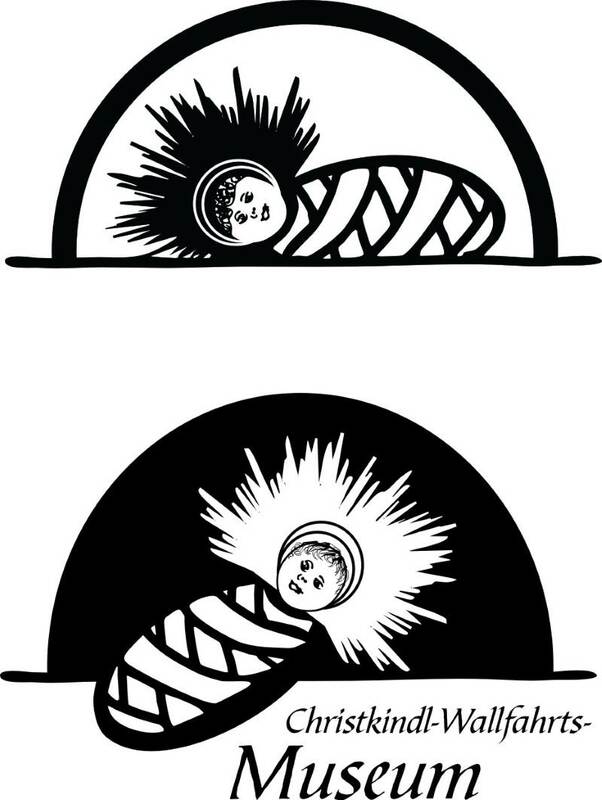 The infant Jesus in Bethlehem is the symbol of the Christkindl-Wallfahrts-Museum.